By Fernando Spencer in General on April 13, 2019 . A new roof installation can be very expensive. You might actually end up breaking the bank paying for it. Whether it’s your business or residential roof, you need to consider when it’s the right time to repair your roof rather than replacing. Here are a few scenarios when roof repair is the best decision. If your roof is made up of asphalt shingles, there are a few times when repairing might be a good option. Basically, replacing a few of these shingles works perfectly to restore the roof to its natural beauty and function. Remember, asphalt shingles can last for a long time. However, before you choose to replace the missing shingles, you need to ask a professional roofer to check whether the decking or underlayment is damaged. With extensive damage, a simple repair wouldn’t work. Note that, these shingles are also exposed to a lot of weather elements. Therefore, replacing a few of them with some leftovers might look different because of the wear and tear. However, if the area with the missing shingles is inconspicuous, you can repair without any worries. Keep in mind that the shingles protect the decking from wind or moisture. Therefore, any missing shingles should be replaced immediately. Here, you need to check your attic thoroughly to confirm if the leak is in the same area or all over the attic. If it’s the latter, it means your roof has a lot of entry points for water. If the leaking is in the same area, you can simply patch up that area of the roof without spending too much money replacing the entire roof. 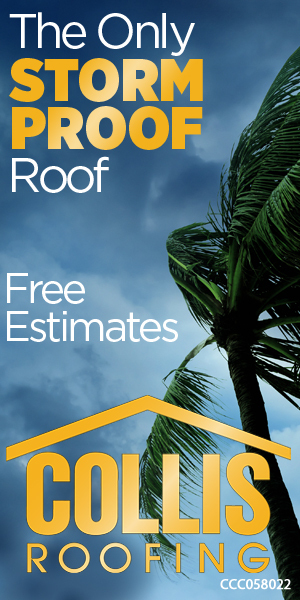 If there has been a recent storm, you need to inspect your roof for wind damage. It could be that a few of the shingles have been blown away by the storm. You can do this with a professional roofer to help you choose the right option between repairing and replacing. However, if you notice just a few missing shingles, chances are that a repair job works perfectly at the moment. You might have a few holes in your roof that encourage animals to get into your attic. If your attic windows remain closed yet you find bats, birds or any other animals in the attic, chances are that there is a hole somewhere. You don’t need to replace the entire roof for this but simply replace the hole. Of course, you need to shoo away the animals before repairing the roof otherwise they will be stuck in your house. In conclusion, a lot of roofing experts might encourage you to replace the roof whenever there is any sign of trouble. However, it is too costly to replace your entire roof if you are on a budget. Therefore, with a thorough inspection, you should be able to discern whether a repair job is the right thing to do. Also, you can patch up the damage as you seek money to replace the roof.